VAT rules are known for their complexities and the headaches that they can cause businesses around the UK. But it’s the peculiarities of the system that can have people scratching their heads, particularly in the world of food! Fancy a biscuit with your milkshake? Depending on whether or not it has chocolate on can make all the difference when it comes to VAT. A plain biscuit, traditionally a zero-rated product, when coated in chocolate, a standard rated item, suddenly becomes a luxury item and has 20% VAT added. Sounds fairly straight forward? Think again. If the chocolate is included inside the biscuit, in the case of chocolate chip cookies, it is back to being zero rated. This is also the case where the chocolate is sandwiched between two biscuits. Think that is peculiar? Spare a thought for the poor gingerbread man. If he just has two chocolate eyes there is no VAT charged, but as soon as he starts to put on any clothing made from chocolate, such as trousers or a nice smart bow tie, he suddenly has VAT added. And don’t even mention Jaffa Cakes….. McVities have very cleverly argued that they are classed as a cake not a biscuit and so no VAT is not applied despite being coated in chocolate. 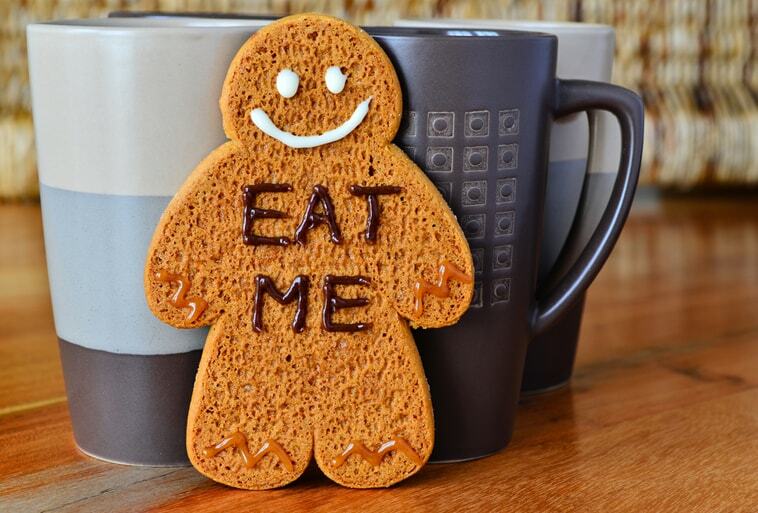 VAT rules – they really take the biscuit!